Heartbleed : Is It Surprising That NSA Knew it? The Customize Windows > Computer and Internet > Cloud Computing > Heartbleed : Is It Surprising That NSA Knew it? 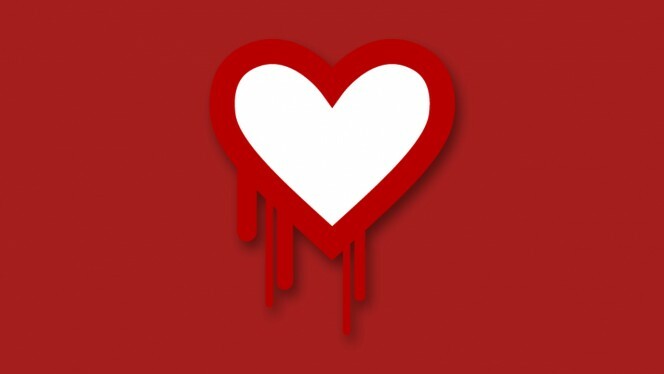 It is surprising that NSA and their agencies knew about Heartbleed? Be it PRISM, Heartbleed or Cloud; we should be thankful to Snowden. If you read our article published on 14th April on OpenSSL and the Heartbleed Bug, you will find the relevant paragraph and this sentence “It is not clearly known why Google, Twitter and Facebook either were not affected by the problem or hidden the facts.” Later some of them said to be “found affected”. Impact of NSA blow initially was on cloud ecosystem, Snowden™s revelations did the best for the innocent mass. Have you noticed that, still now Google is not talking about Algorithm Change in 2014 which was a weapon for Google for the web masters to make the genuine content creators fearful for the last 3-4 years. Emerging new backstory about the bug Heartbleed is that, Bloomberg claimed that NSA knew the bug and used it for their advantage for at least the last 2 years. What is said to be “Algorithm Change of 2014” is not basically not what Google and Matt Cutts used to say before and after any change. Google’s emphasize (thought to be) in Algorithm Change of 2014 on SSL makes us thoughtful about the silent change. Not much time has passed since the web was taken in part from the panic following the discovery of the Heartbleed bug, which made ? ?30-66% of websites vulnerable, because it seems that some assumptions circulated in the days of pandemic has been re-launched by well-known website Bloomberg. Secondly, some people briefed on the matter logically, the NSA would use to their advantage the bug in the last two years. The two sources, which would have also mentioned the existence of a relationship, of course, remained initially anonymous. In any case, the response of the NSA has not been slow, in the words of a spokesman, all statements disclosed by secret informants of Bloomberg have been categorically denied “the NSA was not aware of the recent vulnerabilities OpenSSL, the so-called “Heartbleed”. Just we wrote in the article, Internet of Things Does Not Mean Wearable Stuffs; there will be always some supporters of the companies which were initially marked to be clearly associated with NSA’s Malware Activities, namely Google, Microsoft and Facebook as major brands associated with communication over the Internet. Since PRISM, you’ll not see a single word, a single sentence on most of the blogs which primarily publishes usage of these brands’ products and services. There are many brands who are arranging to shift data to Swiss cloud for the sake of security. We always suggest to use Open Source Cloud Computing Software, what ever it is, whoever the vendor is. It is unlikely that IBM or HP will sabotage their many decades old business. It is meaningless to shift to a safe datacenter with Google Scripts on front end. Make your readers, your clients happy; it is not necessary to make Google happy. Have you ever thought – why the browsers never support the free self signed SSL certificates? Have ever thought, most of the browsers have some by default set search engine which sends data about your computer? This Article Has Been Shared 9894 Times! Articles Related to Heartbleed : Is It Surprising That NSA Knew it? Title: Heartbleed : Is It Surprising That NSA Knew it? Cite this article as: Abhishek Ghosh, "Heartbleed : Is It Surprising That NSA Knew it?," in The Customize Windows, April 27, 2014, April 21, 2019, https://thecustomizewindows.com/2014/04/heartbleed-surprising-nsa-knew/.